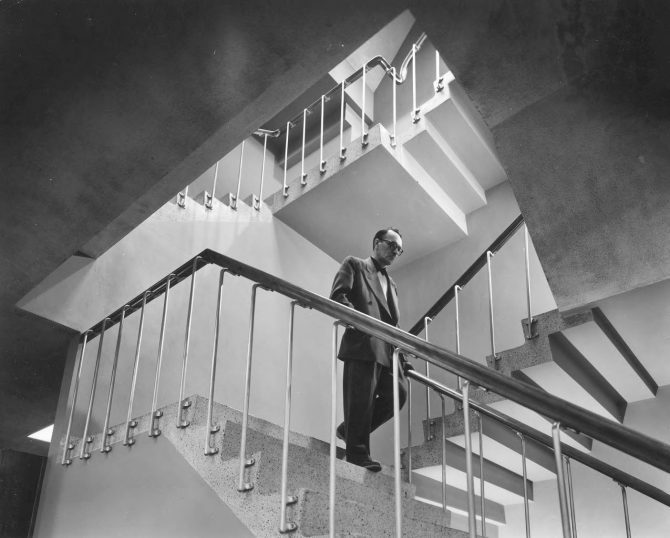 An unidentified man is pictured on October 24 1952, on the grand central staircase at the new Tacoma Public Library, 1102 Tacoma Avenue South. The feeling of spaciousness was accentuated by the use of bowed stainless steel balustrades and fine grained birch handrails. 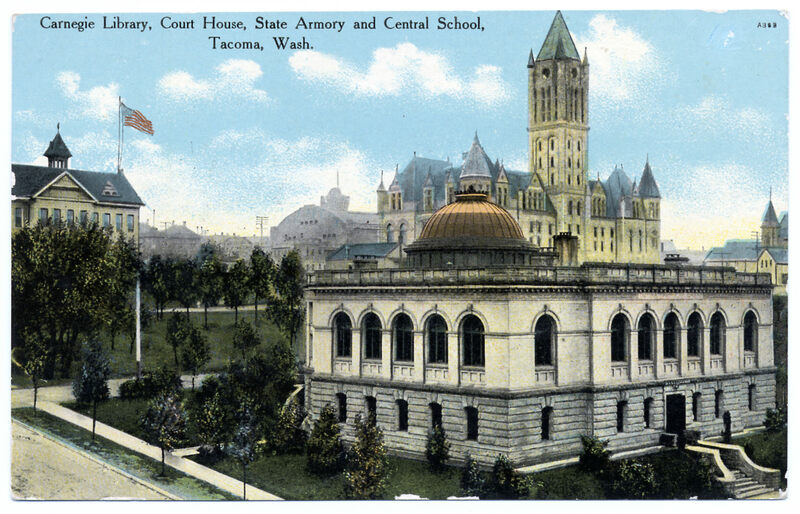 The staircase would be altered in future library remodeling, removing the pictured railings and covering the steps with carpeting.